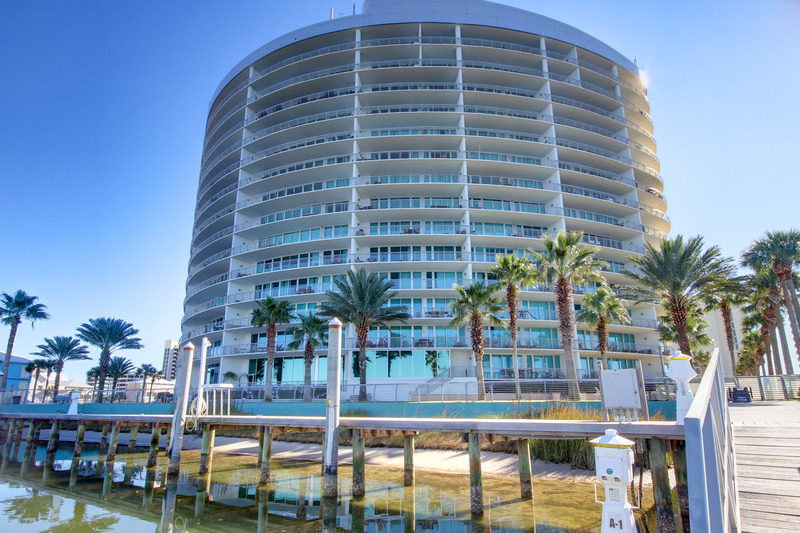 Bella Luna, where luxury meets breathtaking natural beauty in the heart of Orange Beach, Alabama. This 14 story condominium complex, built in 2006, sits on Ole River, just across the beach road from the Gulf of Mexico. Owners and their guests enjoy private, deeded access to the Gulf, as well as exclusive use of their marina, on Ole River. The extensive list of amenities offered by Bella Luna includes: four sparkling pools (one indoor heated and one outdoor heated), a state of the art fitness center overlooking the water, a steam room and dry sauna. Also, a gated entryway to the complex, covered assigned parking, a community BBQ grill and high speed internet. Each unit affords a stunning view of the surrounding bodies of water from long, private balconies. The spacious and luxurious living areas are designed to comfortably accommodate families with children or multiple couples, with a split bedroom plan for added privacy. Granite counter tops, stainless steel appliances and fully furnished kitchens provide all the ingredients for preparing succulent fresh seafood dishes and sharing the memories of the day with family and friends. Want to get out for the evening? The Flora-Bama Lounge & Flora-Bama Yacht Club are an easy stroll to the east! Many more shopping, dining and entertainment choices are found nearby in Orange Beach or just across the state line in Perdido Key, Florida. Tour Bella Luna Condos in Orange Beach AL with the Jason Will Real Estate Team. Call our sales hotline today at 251-866-6464.